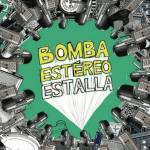 BOMBA ESTEREO 7pm FREE show at Mac Aurther Park Levitt! Date would help .... show is at 7pm Friday, August 10 a few hours b4 Midnight Ridazz! ooooo, they were pretty awesome when I saw them at the getty a while back. i'm just gonna say it ... she's pretty soft in the eyes. also ... i'm down to ride to Tangs after for the MR meet up.